So today is Chris’s birthday. 18th birthday to be precise. Pretty sweet place to have it. Paris. Unfortunately I had woken up feeling like death. Blocked up in the head, sick in the stomach, low on energy, didn’t sleep well, ect. I was determined not to hold everyone back especially it being Chris’s bday. It wouldn’t be fair. 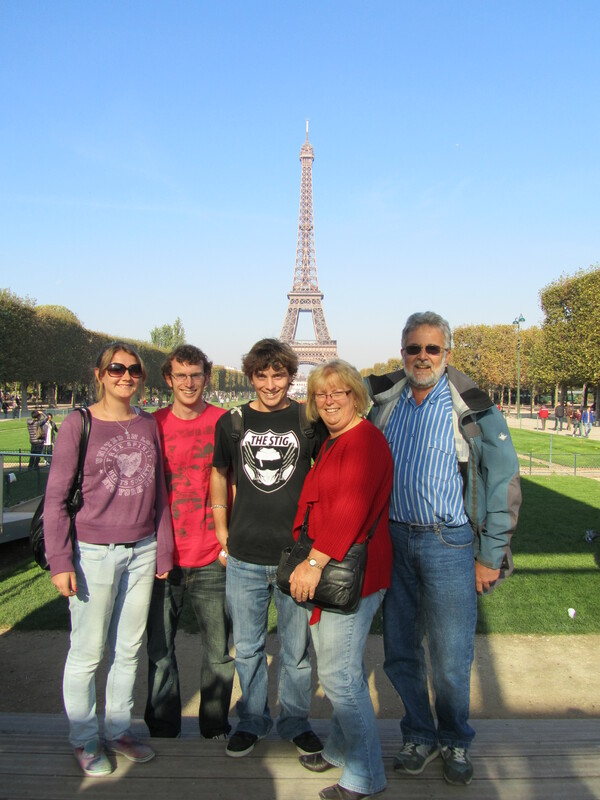 The first place we went was the Eiffel Tower. We caught a metro and headed for the one that is near the huge promenade leading up to the tower itself. Again, we had stunning weather and this had brought the people out in droves. We kind of had to fight for photo position a fair bit but it was ok, we got our family pic and were able to start walking slowly up to it. When we arrived under the tower, it was worse than I had imagined. We had planned on going up in either the lift or the stairs but at all 3 of the open entrances we were looking at a one hour wait minimum. We didn’t really feel like doing that so we continued through to the other side of the tower that we had come from and up a small hill that looks over the base of the tower. From there we caught a metro to Montmartre which is the artsy side of town on a hill looking over the whole city. Before going into the main area, we decided to have some lunch. We found a nice little restaurant that gave us a 3 course meal for about 15Euro each. I had confit duck for mains 🙂 . It was all really nice. They also had bottles of wine on display there with the biggest holding 6L! I can’t imagine how much that would have cost. It was a Bordeaux and a few years old as well. 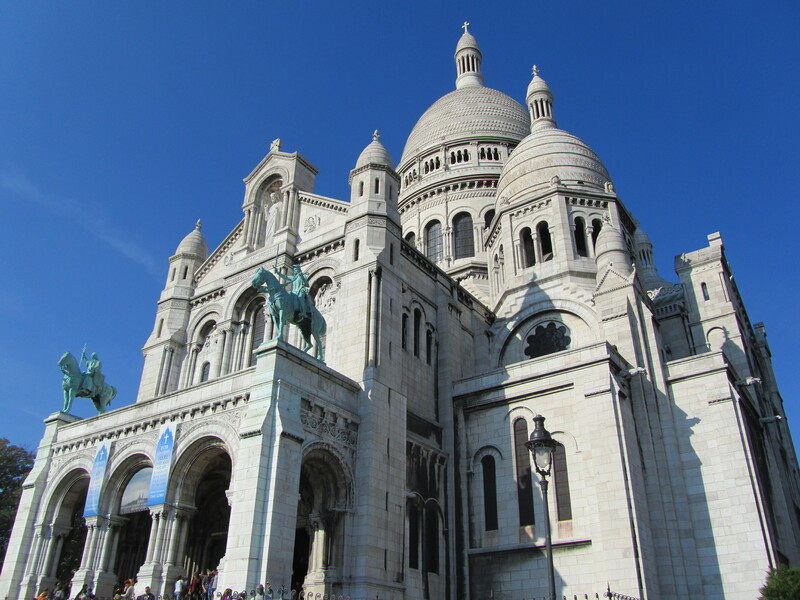 When we finished, we walked up the hill into the main area and up to Sacre Coeur which is a huge ‘basilica’ that is kind of the centre point of the area. We stood around trying to get photos of the city with about 3000 other people before heading towards the Montmartre cemetery where there are heaps of famous people are buried. We were starting to get tired by this point so we didn’t really hang around to long. We headed back to the house via the metro. By the time we got back it was only 4pm, so quite early. We stayed around for a while before having an early dinner which I didn’t eat much of. By this point I had a high temp on top of everything else. After dinner, the rest of the family went back to the Eiffel Tower on my recommendation as it has a lights show that goes off every hour. There would also be less of a line going up the tower. Turns out I was only right on one of those two points. Yes there was a lights show and it was fantastic but, the lines were not really any shorter. I didn’t actually go so that I could rest. 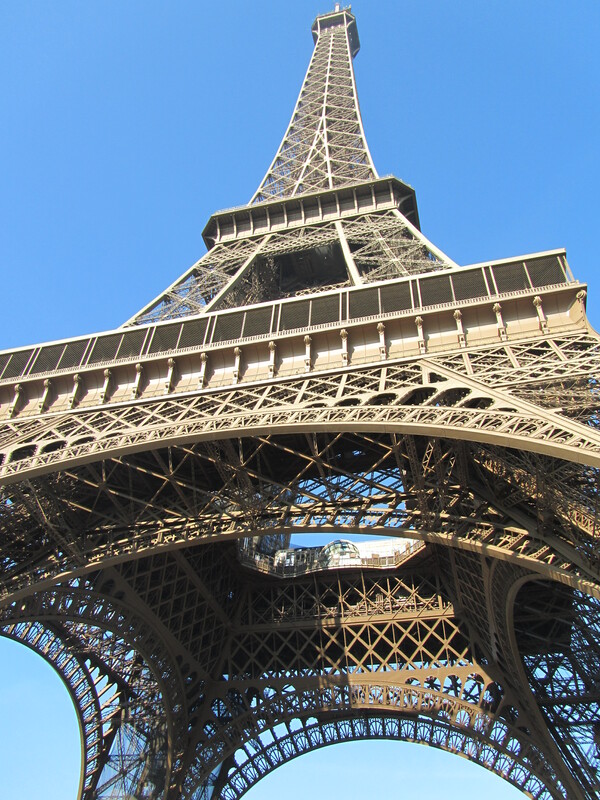 I am actually really glad I did that because last time I was in Paris we saw the tower at night anyway so wasnt anything really that new for me.